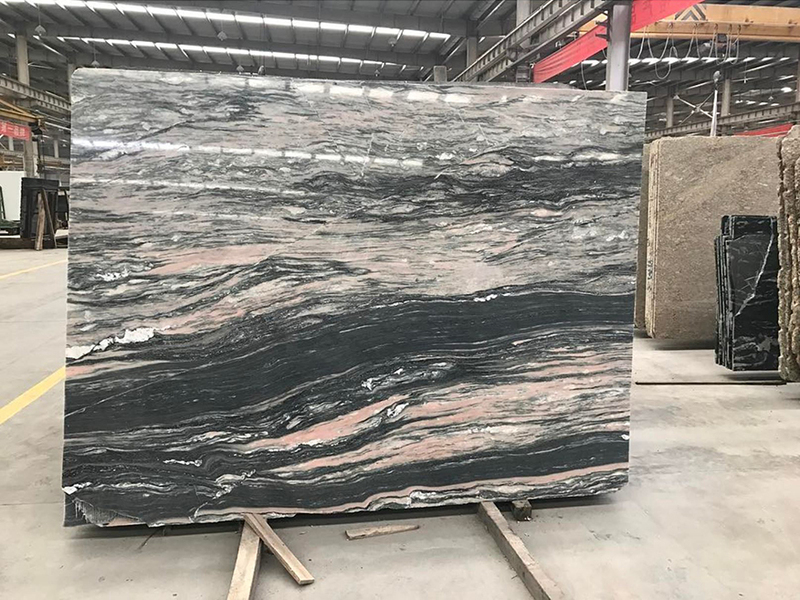 As soon as we saw this masterpiece it reminded us of our Granite stone slab, Verde Imperiale, popular for kitchen benchtops in Melbourne homes. Natural Stone truly is diverse. Check out the article below from DesignBoom. A piece of art by Korean visual artist, Pionara! ahead of the winter olympics, set to commence in korea this year, visual artist pionara sees a unique opportunity of her own to provide an entry route into understanding the country. 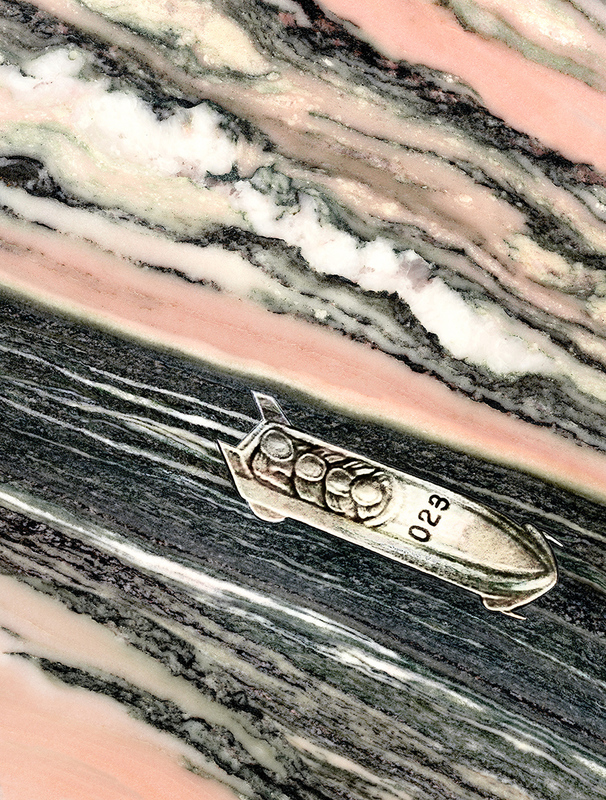 in a personal project exploring the games the artist evolves her fondness of working on natural materials and objects, sourcing marble unique to the hosting region in an attempt to better understanding the place that will be televised worldwide. intending to find something unique about the county, pionara‘s work begins with her canvas – a beautiful stone (called ‘pyeongchang seok’ – seok means stone in korean). 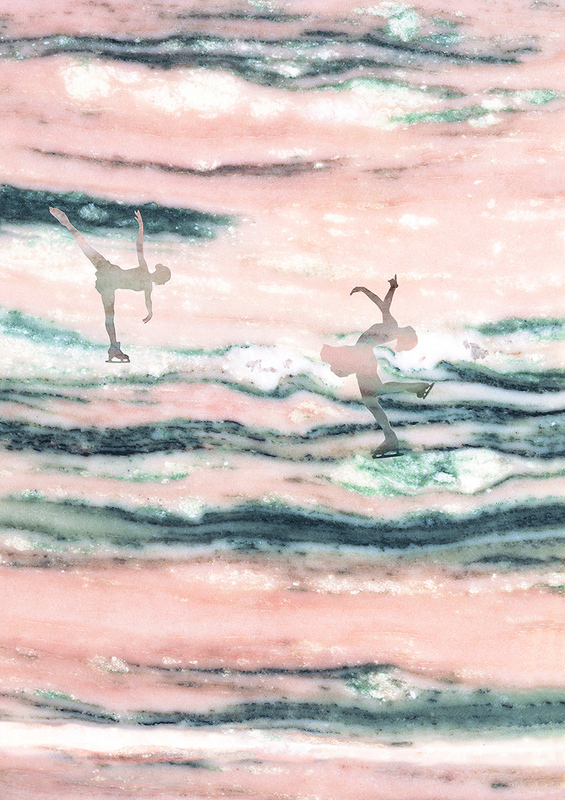 this marble, produced in the pyeongchang area of the gangwon province makes a backdrop from a series of complimentary grains. mixing pink, bluish grey, white and black, a sunset-kissed setting of snow and tricky terrain is imagined by the artist whose illustrative additions of figures depict scenes from the games itself. 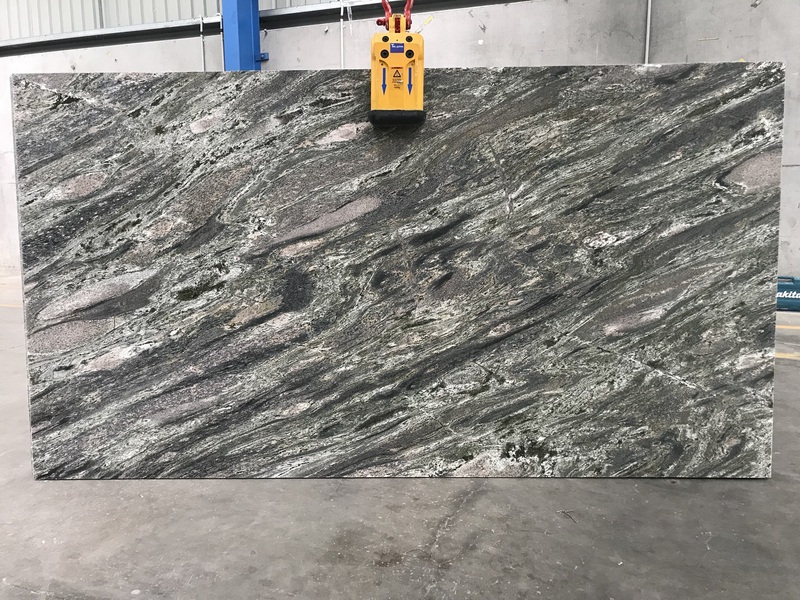 Verde Imperiale is a unique, mixed-colour granite used for kitchen benchtops, bathroom vanities and more. It has a sweeping diagonal effect, mixing greens, whites, pinks and a touch of orange. pionara’s aim is to capture the dramatic moments that will be presented during february 9 to 25. so, in the beautiful patterns and swirls of pyeongchang marble, skiers run steep mountains, figure skaters show off beautiful performances, and bobsleigh slide down fast. the artist was inspired by her research into the characteristics of the region. This led to her discovery of the gangwon province being a valuable part of korea with regards to its resources. understanding that the rare mineral resources of the gangwon province account for %70 of korea this eventually led to the artist’s choice of canvas, symbolising the contribution of the region and its individuality.